Game of two halves – the first half continuing with Rick & Glenn’s subterfuge, amongst a few interesting plot threads being drawn out -including….. a love interest for Andrea? Some of it is a bit soap-opera (and maybe neccesarily so – Kirkman drawing us into this false sense of Suburbia?) and, apart from the Rick and Glenn shenanigans, it merely meanders. 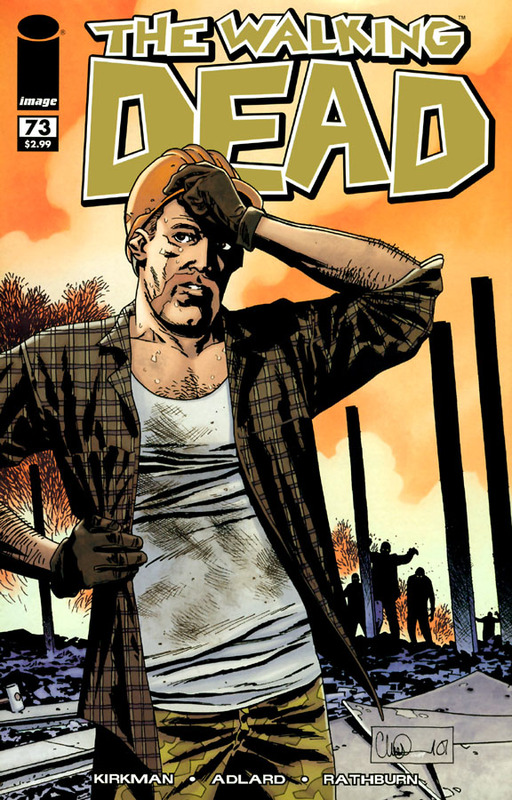 The second half is something else though, and it’s time for our cover star, Sgt Abraham Ford, to shine. Caught in a desperate situation involving a supply run and a zombie ambush, it is balls to the floor FUN. Whoever gets to play him in the AMC show is going to have to brush up on his Stallone / Willis / Statham attitude. Sgt Ford ROCKS in that American Action Hero way – and Kirkman uses that side to Abraham sparingly, so when he does get to strut his stuff, it just puts a big smile on your face. just shows what a few years in that world has done to that man. Trust no-one. Especially Rick Grimes. 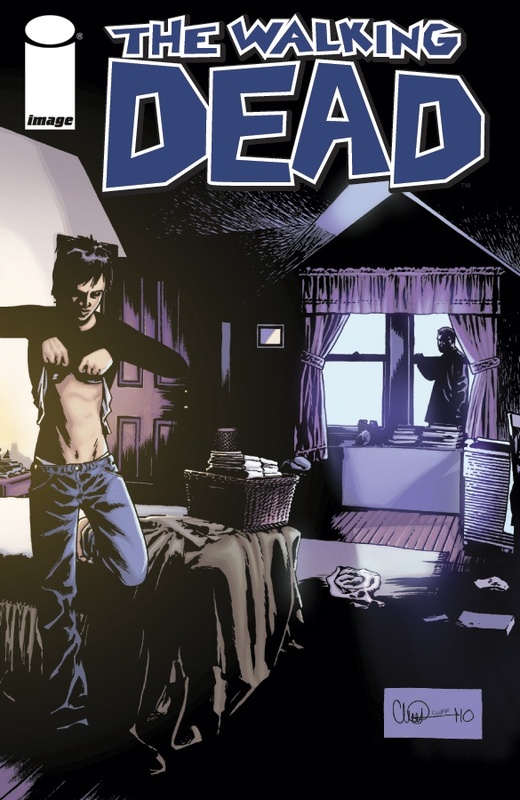 And was #73 of The Walking Dead any good? Yes it was, absorbing without being outstanding, gripping without being melodramatic. It just did it’s thing. * I didn’t take any brown acid during the production of this post. It was mescaline.